By embracing the cloud, manufacturers no longer simply collect data but instead, gain actionable insights from it. Whether its for quality improvement, sales forecasts or preventative maintenance, predictive analytics or machine learning can give manufacturers an edge over their competitors and possibly, a complete new service to sell. The domestic canary isn’t what most of us would consider a tool for industrial labour. But in 1988, hundreds of these birds were made redundant from their small, yet significant roles in Britain’s coal mining industry. Earlier mines lacked air ventilation, which meant these ill-fated birds were favoured as the gas detectors of choice. 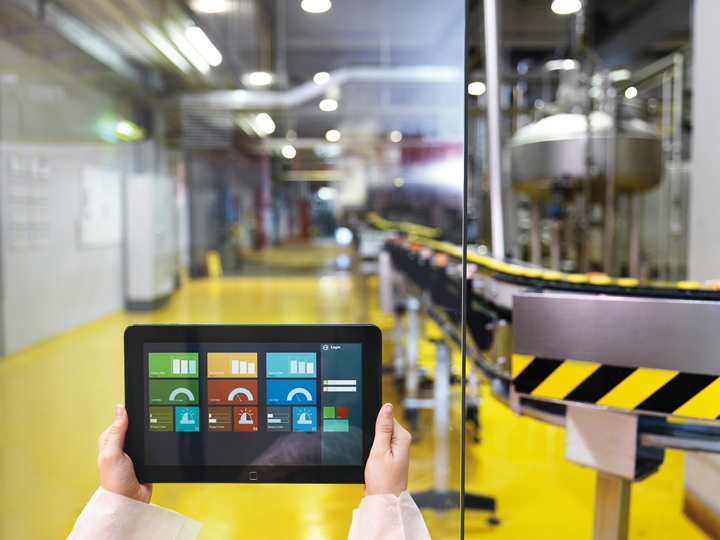 Today, advancements in connectivity and the introduction of cloud computing are making monitoring industrial environments a lot more sophisticated. As we enter the era of the smart factory, Johannes Petrowisch, Global Partner & Business Development Manager of industrial automation software expert, COPA-DATA, discusses the benefits of cloud computing for the manufacturing industry. COPA-DATA is the technological leader for ergonomic and highly dynamic process solutions. The company, founded in 1987, develops the software zenon for HMI/SCADA, Dynamic Production Reporting and integrated PLC systems at its headquarters in Austria. zenon is sold through its own offices in Europe, North America and Asia, as well as partners and distributors throughout the world. Customers benefit from local contact persons and local support thanks to a decentralized corporate structure. As an independent company, COPA-DATA can act quickly and flexibly, continues to set new standards in functionality and ease of use and leads the market trends. Over 100,000 installed systems in more than 90 countries provide companies in the Food & Beverage, Energy & Infrastructure, Automotive and Pharmaceutical sectors with new scope for efficient automation. zenon is a software system from COPA-DATA for industrial automation and the energy industry. Machines and equipment are controlled, monitored and optimized. zenon’s particular strength is open and reliable communication in heterogeneous production facilities. Open interfaces and over 300 native drivers and communication protocols support the horizontal and vertical integration. This allows for continuous implementation of the Industrial IoT and the Smart Factory. Projects with zenon are highly scalable. zenon is ergonomic, both for the engineer and for the end user. The engineering environment is flexible and can be used for a wide range of applications. The principle of “setting parameters instead of programming” helps engineers to configure projects quickly and without errors. Complex functions for comprehensive projects are supplied out-of-the-box to create intuitive and robust applications. Users can thereby contribute to increased flexibility and efficiency with zenon.